One of the differences between henryi and lancifolium is the bulbils which are produced in the axils of the leaves along the main stem on lancifolium. Henryi is at least 6 ft tall. Still waiting for ours, they are nearly 6 ft!! The colour on henrii flowers has bleached to a pale colour but lancifolium is still just as bright. See who else is growing Lilium henryi (Lily). 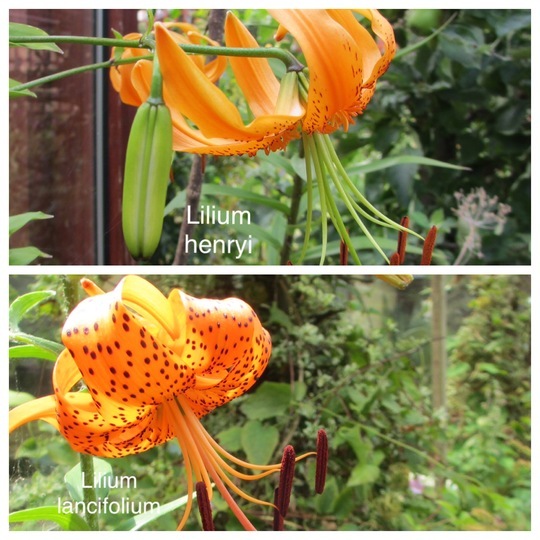 See who else has plants in genus Lilium.